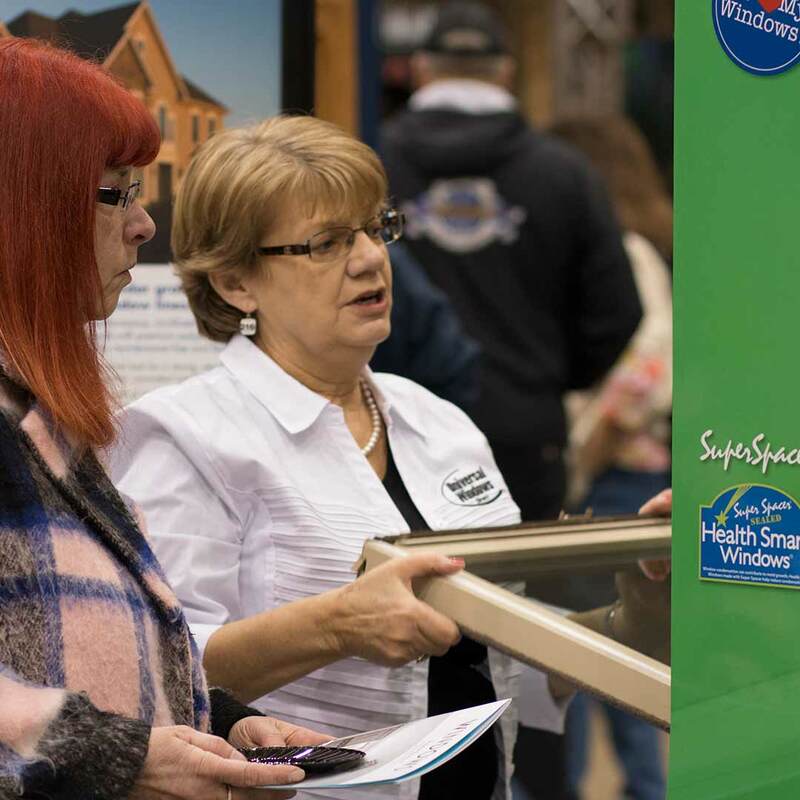 Before you step foot into a home show, it’s important to educate yourself on conducting business with window companies. There are some red flags you’ll want to think about before you even set yourself up for a free in-home estimate. When a window company attends a home show, they want to showcase their best work to impress potential customers. Some may have printed photos right at the booth, while other companies can carry a tablet with a photo gallery or simply direct you to their website. If there aren’t any photos of previous jobs, take this as a warning sign. Every company starts somewhere, but you’ll sleep better at night knowing you’re working with trusted professionals with a proven portfolio. The best window companies have a laundry list of satisfied customers. Many homeowners are willing to give reviews on the companies they’ve done business with—for better or worse. When you want to hear the real story behind a window company, it’s time to start talking about referrals. If you run into a window company unwilling to provide referrals, it’s best to move on to the next booth. You can also double check on Google for customer reviews. A home show is a time for you to play with sample products to see how a unit will function in your home. These products don’t always work as smooth as the real thing, but they should function closely to the real deal. If you run across a sample window that’s difficult to open and operate, be forewarned. This might be the tip of the iceberg of problems you’ll experience with these products. Look for window companies willing to spring for high quality samples. This indicates that they take quality and craftsmanship of their windows seriously. When you’re working with a window company, it’s important to inquire about insurance. This might sound like a backburner detail, but the truth is that it can save you a lot of money and headache. A window company operating without insurance is bad news. If someone from the window company is injured on the job, you might be responsible for paying medical bills. You might run into this during instances after a bad storm when storm chases go door-to-door to fix the exterior damage. How do you know if a window company is insured? Ask them. Legitimate window companies are more than willing to provide proof of insurance if necessary. As you ask questions about company products, be sure to ask about Energy Star. Energy Star is a government-backed program that rates the energy of replacement windows and other products. The most energy efficient replacement windows contain an Energy Star seal on the unit. What does it mean if the windows aren’t certified? You likely won’t get the maximum benefit of new window installation. To save top dollar on utility bills, replacement windows should contain technologies such as argon or krypton gas, low-e glazing, and dual or triple pane glass. New window installation is a major project. Incorrect window installation can result in major problems, including drafts and even moisture damage. If moisture makes its way through the frames, you might find yourself dealing with a world of headaches, from fading wall paint to mold and mildew growth. Many homeowners are unaware of how important it is to get new windows professionally installed. Before you consider doing business with a window company, make sure to ask if they offer installation. Window companies should be organized in the way they conduct business with homeowners. Upgrading the exterior is a large investment, and proper planning is essential for getting the job done right. Universal Windows Direct is continuously fine-tuning our process to give homeowners the best customer experience possible. Our knowledgeable team can tell you what you can expect from the first moment of your free estimate all the way to the end of the final walkthrough. Ask the window company about different parts of the ordering process, including free estimates, manufacturing time, and how long it takes to install the new windows. If you happen to get a ballpark estimate at a home show, carefully consider the amount given to you. It’s understandable to be on a budget, but buying windows based solely on a low estimate can cost you more money in the end. Lowball estimates at the home show can signify low quality products. While it’s possible to get premium replacement windows at affordable prices, beware of windows with extremely low price tags. The window may fail to perform within just a few years, leaving you back at square one with new window replacement. 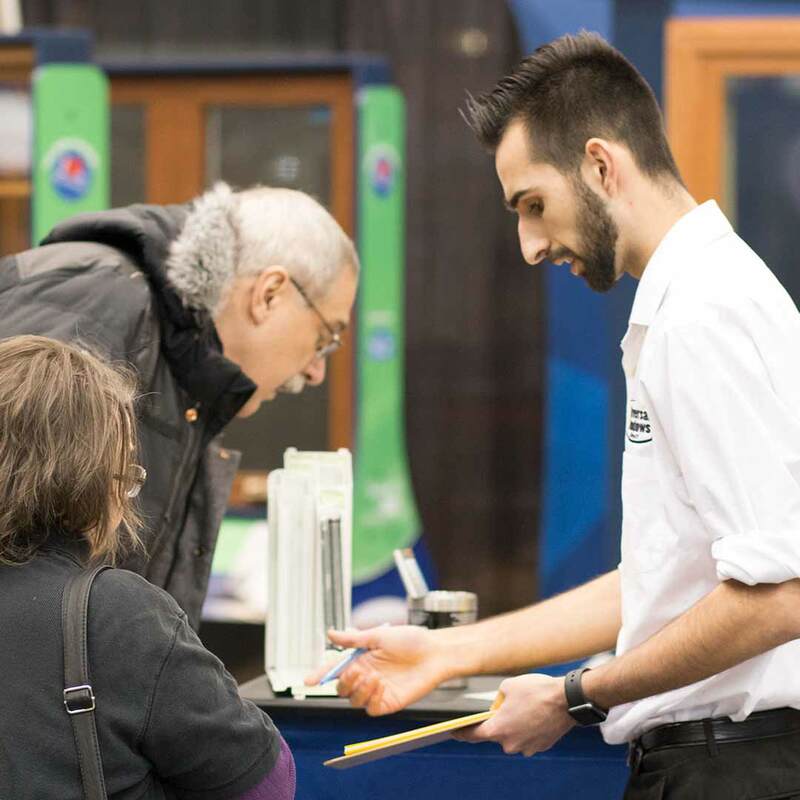 Universal Windows Direct attends various home shows to educate homeowners on top-quality exterior products. You’ll find that our staff is highly knowledgeable on replacement windows, entry doors, vinyl siding, and roofing. 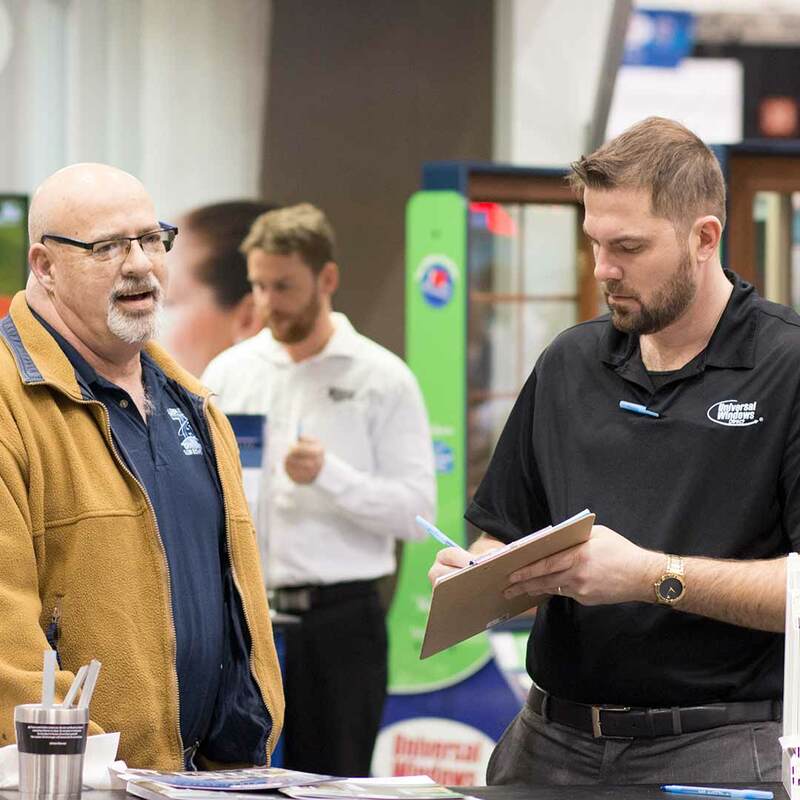 We’re here to help answer your questions—and if you don’t want to wait until the next home show, don’t be shy about giving us a call at 800-984-5856.